Beerland tour heads to FIlthy's in Vero Beach. 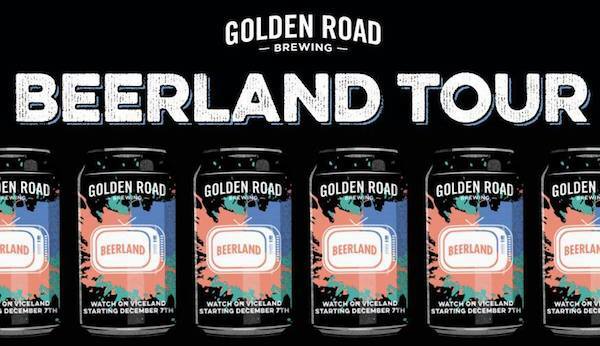 VERO BEACH – Golden Road Brewing’s Beerland Tour is heading to Filthy’s Fine Cocktails & Beer on December 28 from 6:00 p.m. – 10:00 p.m. They will have an exclusive screening of Beerland Season 2, Episode 4, which was filmed in Vero Beach. There will be $2 Golden Road Beer specials all night, and all of the proceeds are going to the Indian River County Healthy Start Coalition. They will also have a raffle for Golden Road swag. This event is free and open to everyone over 21 years of age. Filthy’s Fine Cocktails & Beer is located at 1238 16th St. in Vero Beach.